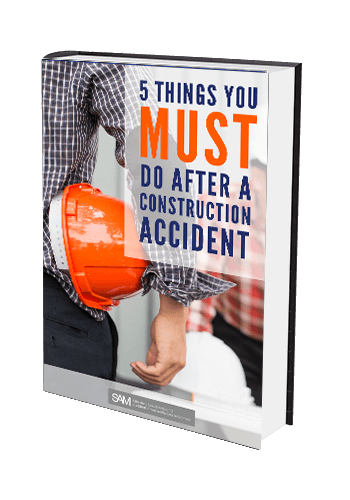 New York Ladder Injuries | Construction Equipment Accidents | New York Personal Injury Lawyer | Silberstein, Awad & Miklos, P.C. Ladders represent one of the most useful pieces of construction equipment. Ladders come in all shapes and sizes and are made of wood, metal and composition material. Workers routinely use A-frame ladders (stepladders) and extension ladders. Every job deserves the right ladder. All too often a worker is made to use a ladder that is defective or unsuitable for the job at hand. Sometimes workers fall from ladders carrying materials up to another level or floor when a hoist, elevator or pulley system should have been utilized. An experienced construction injury attorney can help you file claims, and determine the best course of action. Ladders need to be set up in an area that is level and free from debris. The feet of a ladder should be protected by non-skid material so that the ladder doesn’t shift or move when being used. When it is the only ladder available, workers have been forced to use ladders that are too big or too small for the job space. Workers have fallen from one half of an extension ladder when an A-frame ladder should have been used. Lots of construction workers are seriously injured each year and those injuries could’ve been avoided with proper maintenance and proper ladder selection. Injuries due to improper maintenance include a failure to look for broken or missing steps or rungs, broken or split side rails, checking for rust weakness in the rungs inside rails of metal ladders, looking for corrosion on the inside of open-ended hollow rung ladders and being sure that the rungs and side rails have not come loose . If any of these situations seem familiar to you and you have been hurt on the job, call us. Touch base with us whenever you have been injured as a result of using a ladder in the workplace. Contact Silberstein Awad & Miklos immediately. In almost all cases we will be able to get you the compensation and money damages you need and legally deserve.